Though the term "ballerina body" should be enough incentive to draw you into one of Barre & Soul's three flagship locations, there are plenty of other reasons that you'll love these boutique studios. 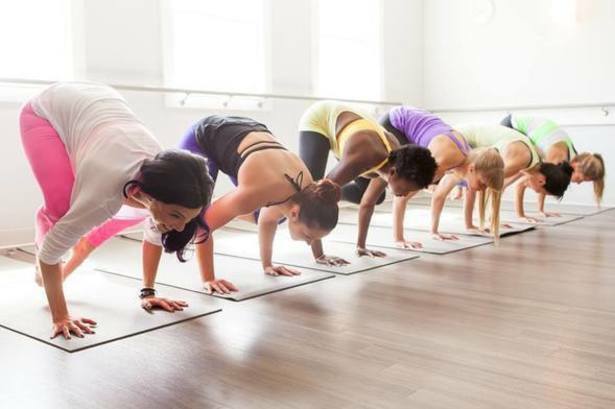 Located in Melrose, Harvard Square and Portsmouth (New Hampshire), these friendly neighborhood studios offer a variety of barre and yoga classes for all fitness levels. The classes are small, which means plenty of individual attention from dedicated instructors. Though the classes will work you hard, they also provide a peaceful hour during which you can focus on posture, flexibility, strength and the mind body connection. Why We Love It: Barre fitness classes tone and lengthen muscles, building the ballerina-esque body of our dreams. All three flagship studios in Barre & Soul offer these exercise benefits in friendly, community-driven studios. Why It's So Effective: The combination of barre and yoga classes offered at Barre & Soul strengthen and lengthen muscles, and increase the body’s flexibility. Through tiny isometric movements, barre classes get the muscles working, while staying tendon, ligament and joint friendly. Yoga continues to build this strength, and also helps increase flexibility over time. Know Before You Go: Arrive at least 5 minutes early to guarantee your spot. Bring a smile, some water, a yoga mat if you have one, and a hand towel if you want one. Mats are available to rent. Yoga classes are warm, not hot. Don't Miss: Not too game to leave the house when the weather gets colder? Check out Barre & Soul’s virtual classes offered through the Melrose and Portsmouth locations. All you need is a computer and Skype. Added Bonus: If you are looking to take your yoga practice to (literal) new heights, join in on the monthly small group aerial yoga classes. Find out more about this and other special events on Barre & Soul’s workshop page. Ready to hit the barre? Reserve a class at one of Barre & Soul's 3 locations - Harvard Square, Melrose or Portsmouth - today!